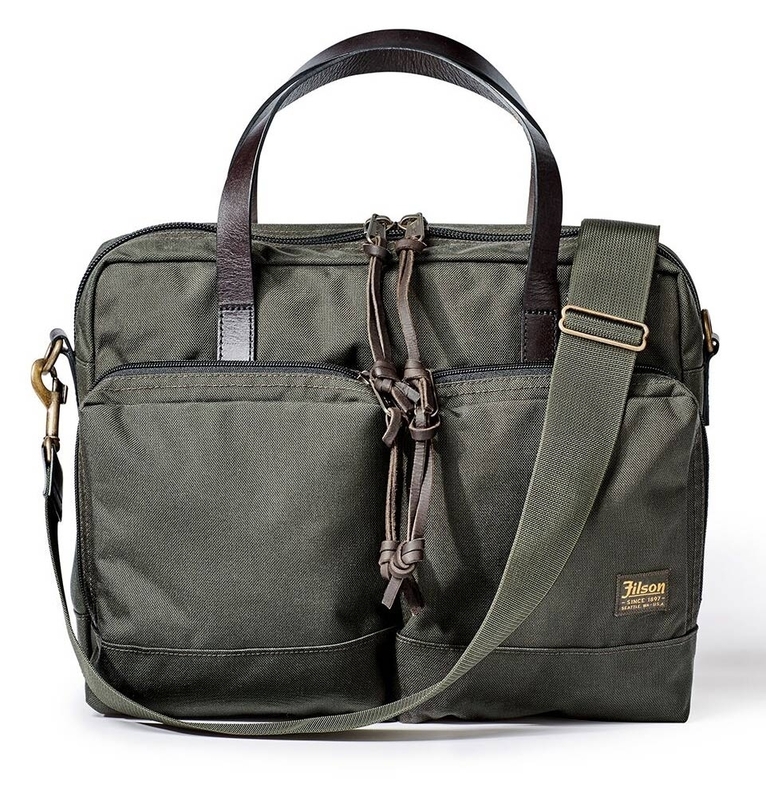 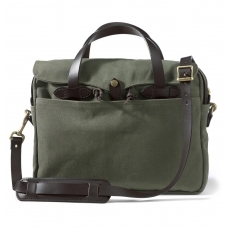 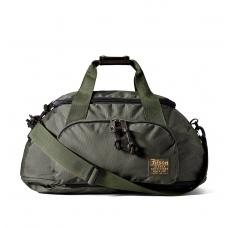 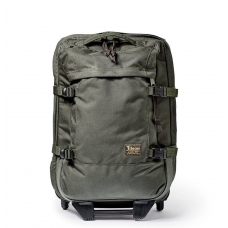 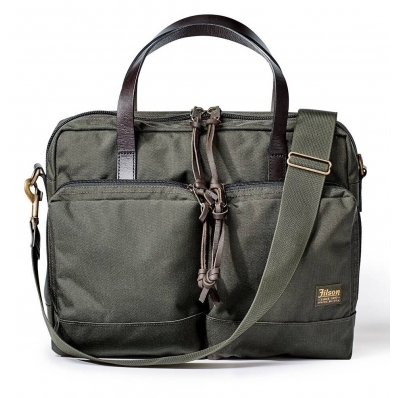 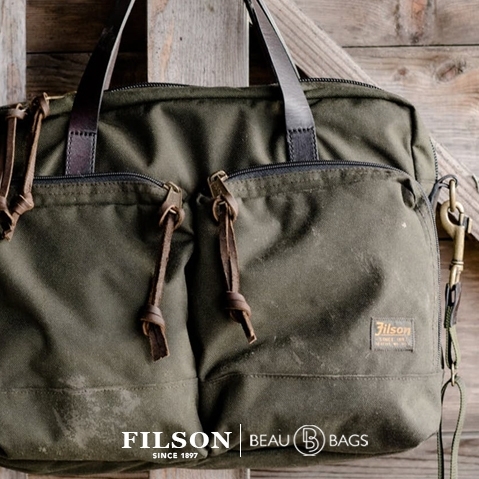 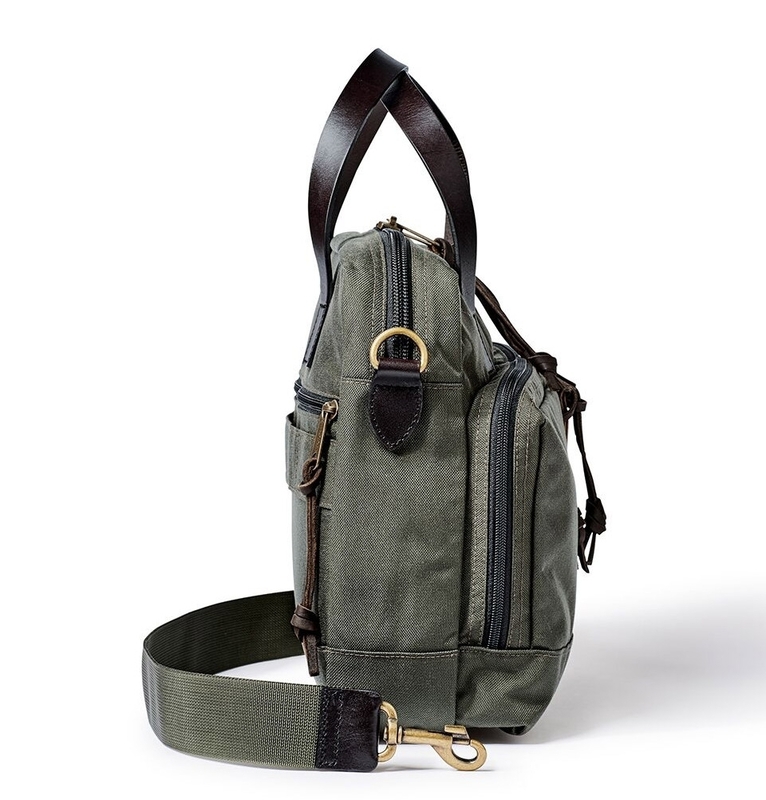 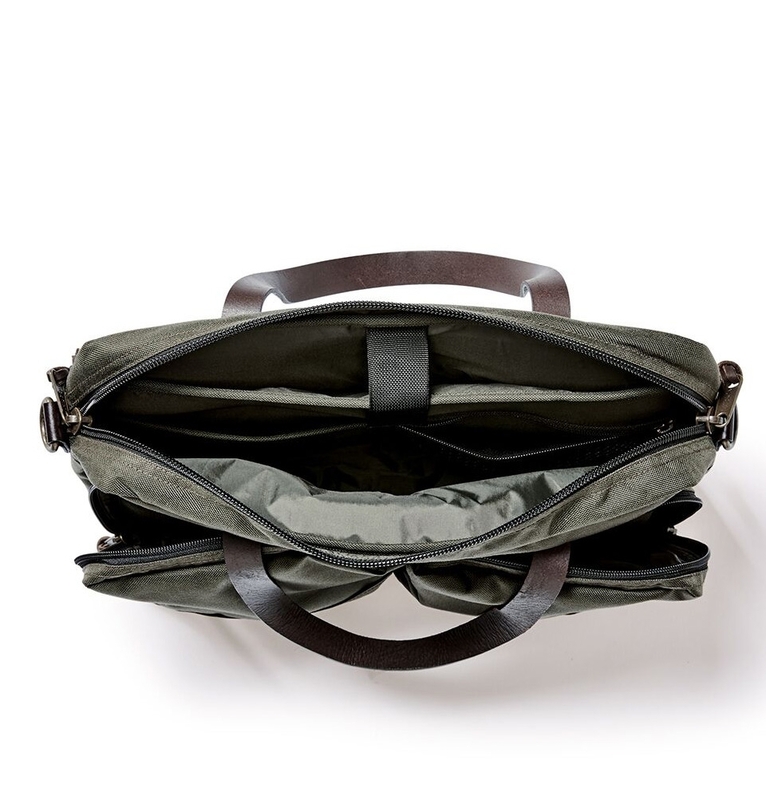 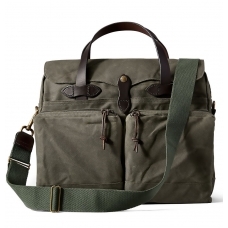 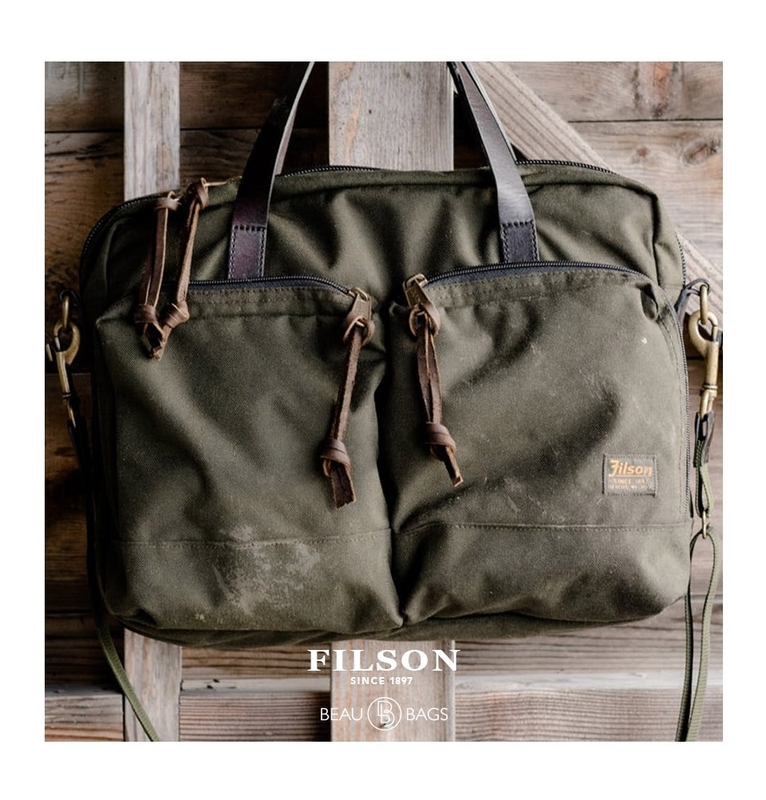 FILSON BALLISTIC NYLON DRYDEN BRIEFCASE OTTER GREEN, versatile briefcase that holds up to heavy use. 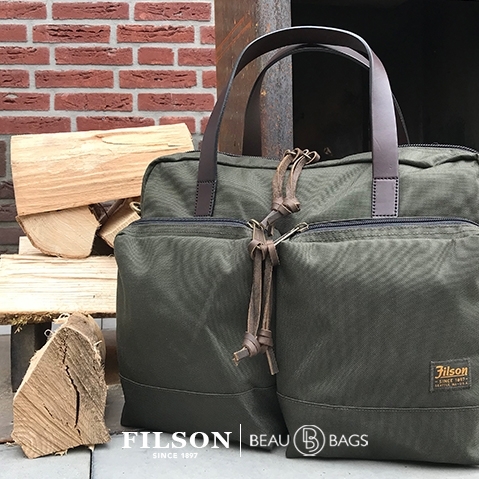 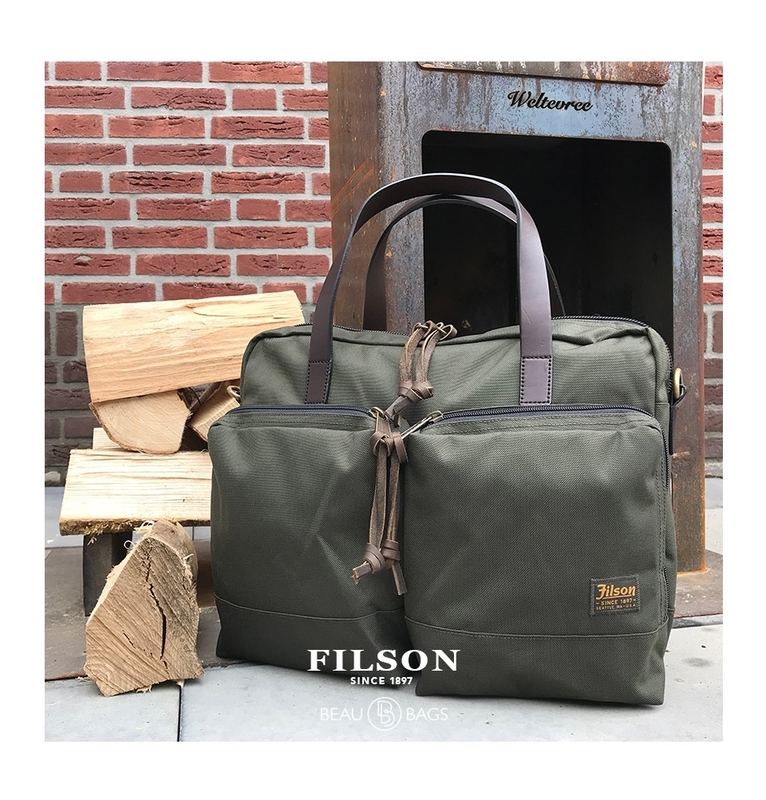 The versatile Filson Dryden Briefcase Dark Otter Green is made of abrasion-resistant ballistic nylon that holds up to heavy use. 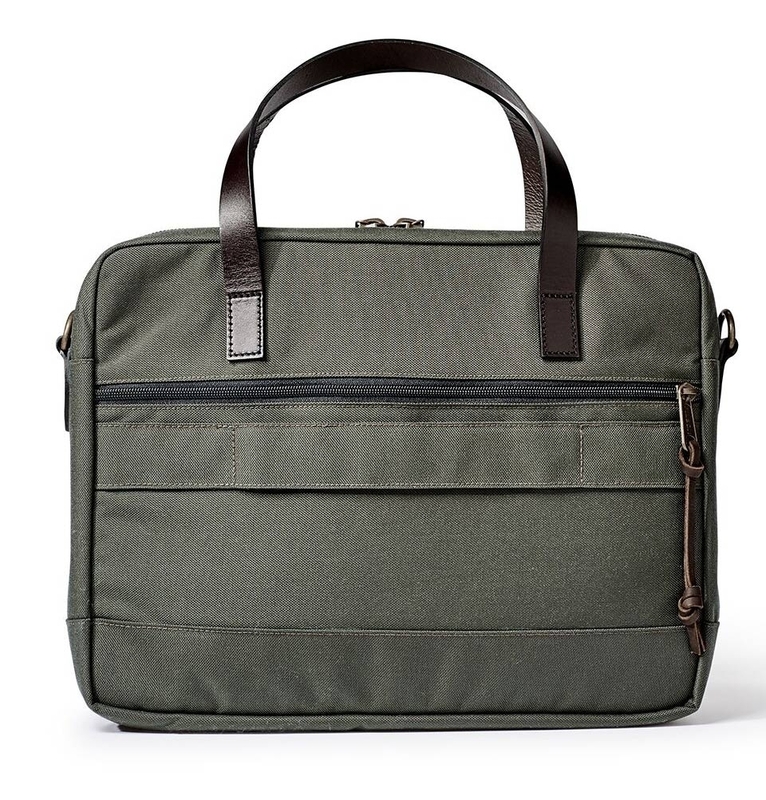 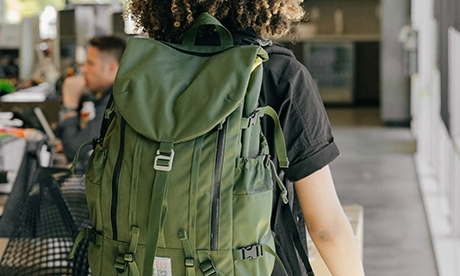 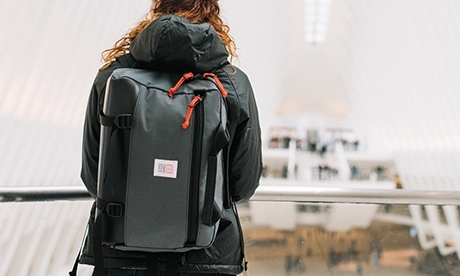 A padded sleeve fits laptops up to 38cm, and a trolley strap slides over luggage handles.